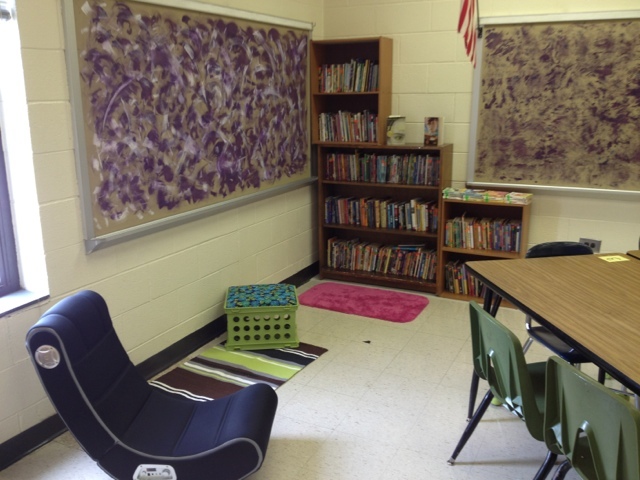 My reading area is starting to come along in my classroom. I now have two seat crates and a small rug to match. 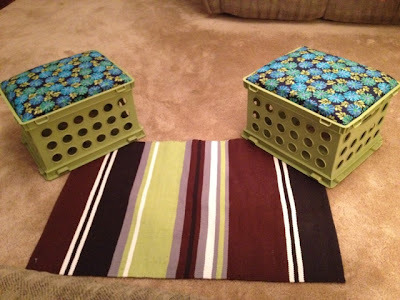 I found the rug at T.J. Maxx on clearance for $5.00 and I bought the fabric for the crates for $4 at Walmart. I would love to get a really big rug for the reading area but the large rugs are well over $100 dollars even at places like Ikea. Here is a picture of the crates (thanks to Pinterest for the idea) and the rug I bought. I still need to carry in the other crate and a bean bag chair I have. After that I'm pretty that the reading area will be complete. I would like to have more fun seating spots but my room just isn't big enough to have too many more chairs. If I see any beach mats on sale I may try purchasing a couple of them.